Finally have a moment to breathe…I came back from vacation and then got immediately into getting ready to go back to school. I moved schools so I had tons of unpacking to do and then setting up new classroom. My room is in pretty good shape so I just wanted to stop in and talk briefly about two books I read on my kindle. These books are both by Deb Baker, but they are two different cozy mystery series. Both of them are cute, quick, cozy mysteries with interesting characters. 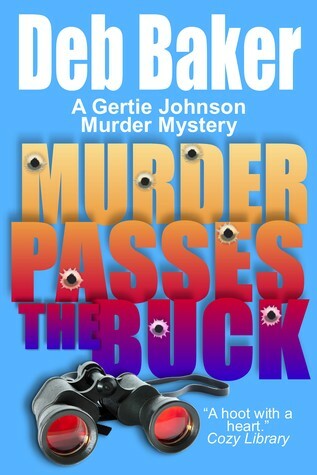 Out of the two of them I will say that I enjoyed Murder Passed the Buck more. The protagonist is a feisty grandma named Gertie Johnson, who eagerly pursues her criminal investigation activities to the dismay of her son. The book has moments of laugh out loud humor. The second book, Dolled Up for Murder, is also well written. It is a cozy with a theme involving doll collecting and restoration. The protagonist, Gretchen Birch, is younger than Gertie Johnson and as such is a more physically active sleuth. 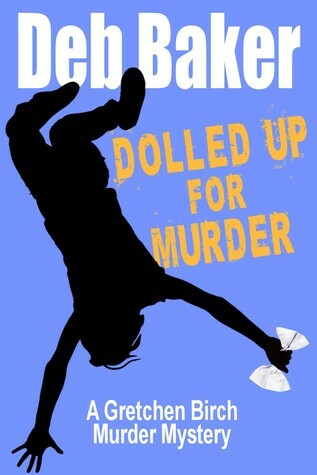 Dolled Up For Murder is less humorous and slightly darker than Murder Passed the Buck. In other book news, I signed up again for Dewey’s Readathon coming up in October. I am sooooo excited. I really had fun with the last one and found lots of great book blogs and books. I highly recommend joining in if you can! In cooking news, I’ve been culling my cookbook collection and have found Evernote an invaluable tool. I had lots of books and back issues of Woman and Home, BBC Good Food, and Olive, so I was able to scan in recipes I used from them and then get rid of the original sources. I also am able to clip from my favorite recipe websites: BBC Good Food, Woman and Home, and Delia Online and make them Evernote pages in my recipes notebook. Even better I can share it with the rest of my family. In TV news, Sons of Anarchy will soon be on again! I am also really into Broadchurch on BBC America. Not much else, I am doing in terms of TV viewing. I really want to go see this, but I have to convince my daughter to come with me. This entry was posted in Book Reviews, Other and tagged movies, recipes, review, tv. Love a good mystery so you always have reviews for books that end up on my list. Best of luck in your new school! Oh, I had not heard of Broadchurch so I will check that out. We don’t have broadcast TV, no satellite or cable so it’s all Netflicks for us! I think Broadchurch is available on Acorn Online and they give you a month free of streaming 🙂 It is an excellent mystery, I’m hooked. Thanks for the comment. Thanks! I am also getting to the point where I’d rather watch dvds than the tv. Basically because then I can watch it on my time not when it happens to be on. My parents have just bought a Humax box which records whatever they tell it to and I’m thinking about one for Christmas – it might mean I’d watch more television (which would in the long run save me money!). I am actually looking into buying a roku and streaming from online to my tv. Still considering it. Sounds interesting! 🙂 I shall have to google it. At the moment I’ve only looked at Humax and Echostar (think that’s what it was called).